In a 9-inch pie plate pour coffee and set a side to cool. Do not add sugar to coffee, there is enough sugar in the ladyfingers. In medium bowl, with mixer at high speed, beat egg whites until soft peaks form. Set a side. Add mascarpone cheese and rum (optional), mix just until blended. With rubber spatola, fold egg whites into mascarpone cheese mixture. 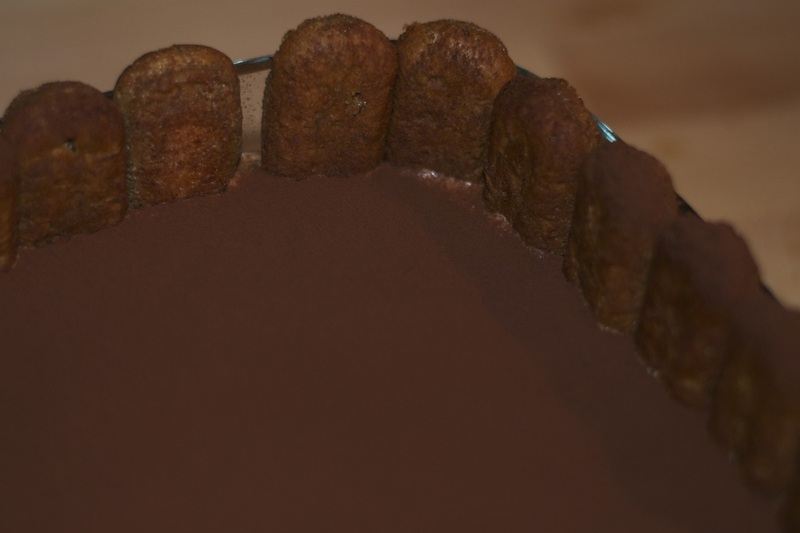 Dip both sides of ladyfingers in coffee and arrange in baking dish (individual portions or larger). Spread mascarpone mixture over ladyfingers. Dust with cocoa powder. Repeat by adding another layer of dipped ladyfingers, mascarpone cheese mixture and finish off dusting with cocoa powder. You may use any type of ladyfingers you prefer ( the american ones are thinner then the italian ones) and any size dish, from individual portions to bigger dishes. Keep in mind that the amount of ladyfingers will vary depending on the size of the dish you are using. 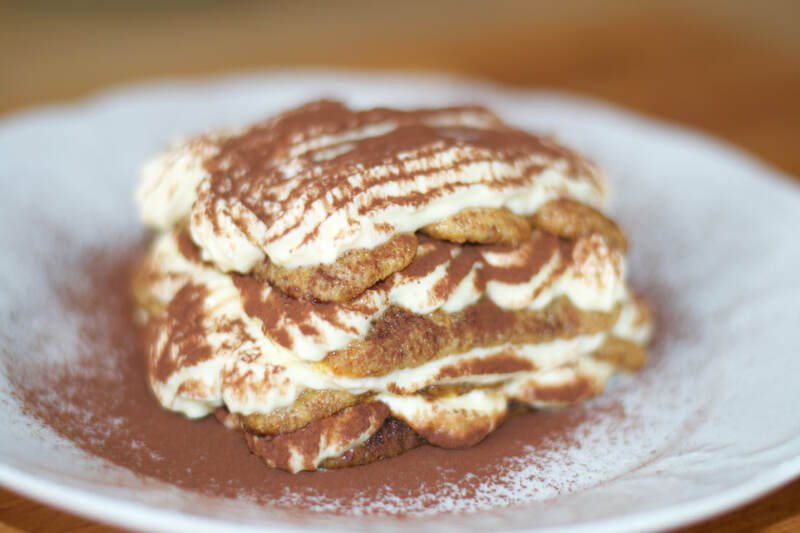 Once the Tiramisù is assembled, cover with saran wrap and refrigerate at least 3 to 4 hours or overnight. 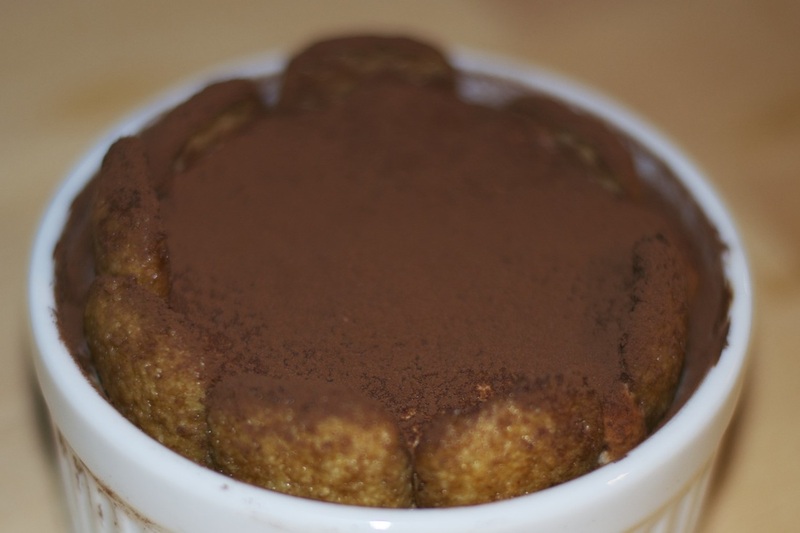 Since this recipe requires raw eggs, make sure you are using extremely fresh ones, keep tiramisù refrigerated and consume within one to two days.